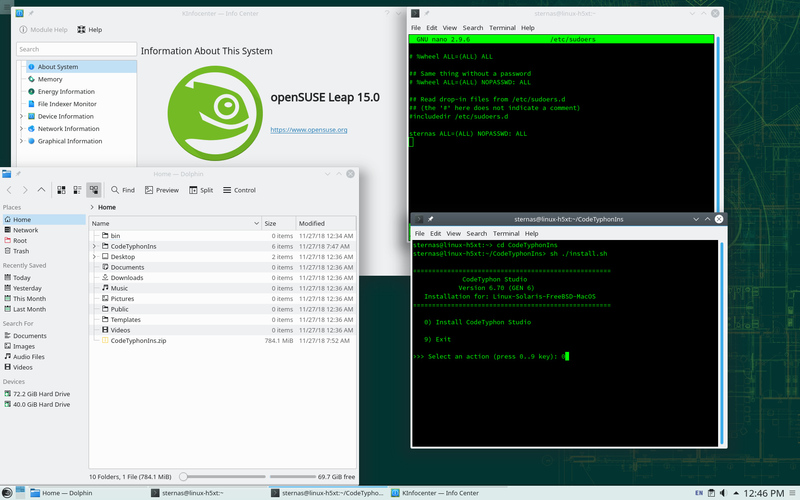 4 months 3 weeks ago	#12882 by Carsten G.
opensuse Leap 15 + CT 6.60 was created by Carsten G.
please can you post the ERROR ? 4 months 3 weeks ago	#12884 by Carsten G.
I will do, but on tuesday, because i'am Not at home. 4 months 3 weeks ago	#12885 by Carsten G.
4 months 3 weeks ago	#12889 by Carsten G.
at 26-05-2018 and with CT 6.50. Last edit: 4 weeks 1 day ago by Sternas Stefanos. 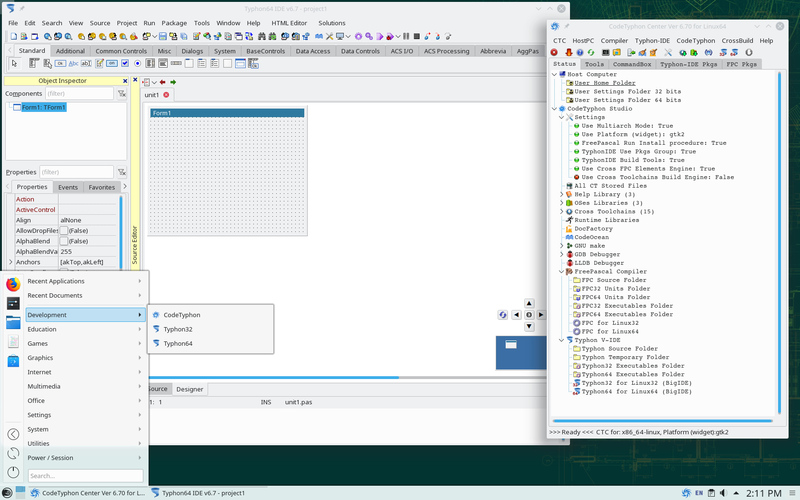 4 weeks 1 day ago	#13270 by Carsten G.
And that is the result of "sudo --list"
On Manjaro and mageia there are no problems, but the primary distribution is openSUSE and i can't install it.